It is just before sunset on a windy November evening when Asif Baloch and his fellow fishermen are preparing to sail into the Arabian Sea on the eastern bay of Gwadar. They have been making a living of fishing from as far back as they can remember, as did their ancestors. But their way of life is now under threat. At least 70 per cent of Gwadar’s local population of over 263,000 people is reliant on the fishing industry for their livelihood. “This is not only our source of income, it is a part of our culture and heritage. We have all grown up playing here. This teaches us," he says pointing to the sea. In the last two decades, however, a lot has changed for the fishermen of Gwadar. The old fishing neighbourhoods southeast of the city gave way to the port’s construction and were relocated to the New New Mullah Band neighbourhood. The four-lane Marine Drive in the west of Gwadar along with the protection wall of rocks flanking it has also reduced access points for fishing boats. Now, construction of the East-Bay Expressway is resulting in further restrictions at different access points. The expressway is being touted as a welcome infrastructure by the government. But the ambitious project will block up to 4.3 kilometres of coastline, thus limiting access for fishing boats. Moreover, the highway is being constructed by dewatering the coastline and building a cofferdam. 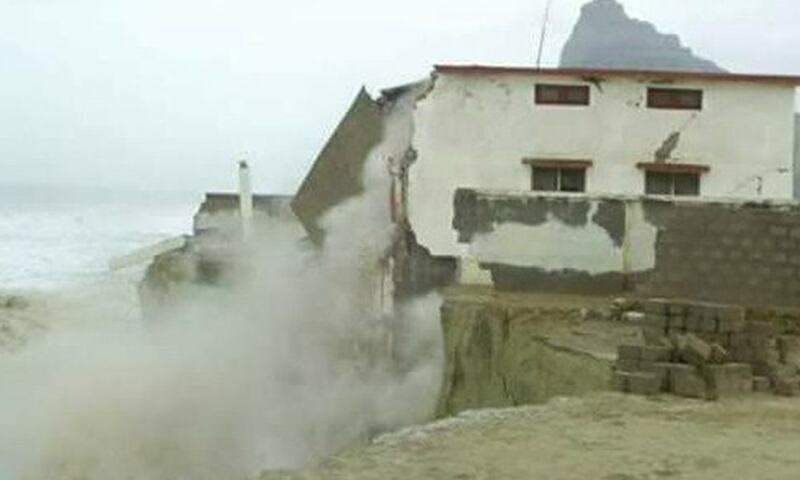 This is directing the water current to the Sur Banden fishing village, subjecting it to increased land erosion. A middle-aged social activist fighting for the right to education and the rights of Gwadar’s fishermen, KB Firaq says access to the beach is a universal right. “You just can’t block the coastline in an area when the entire fisherfolk population lives." The fishermen insist they are not opposed to development as long as it doesn’t deprive them of their rights. “The fishermen are aware that no matter how much they protest, construction work is not going to stop. So now they have come together and put forward a few demands," says Firaq. 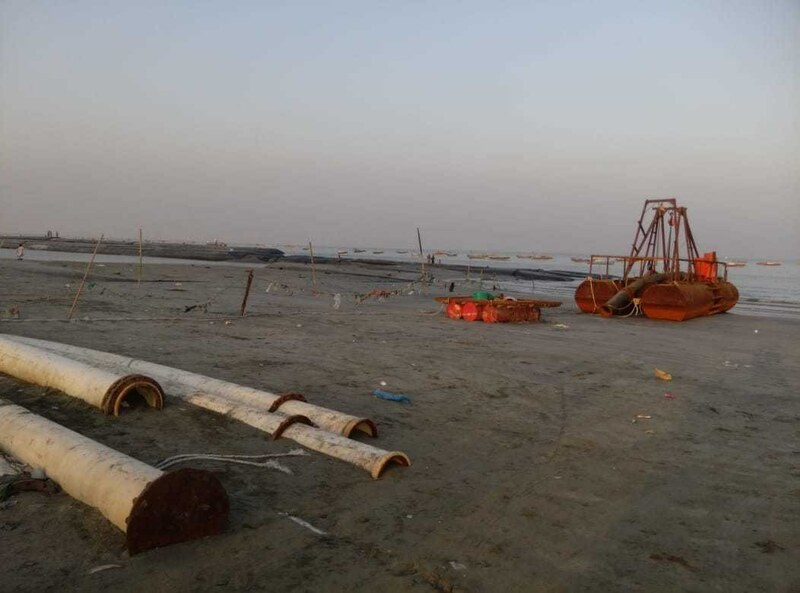 These include the construction of three underpass access points 200 feet wide each at Dohria, Gazrawan and Baloch Ward — Gwadar’s three main fishing neighbourhoods. Along with this, they have also demanded a 1,500 meters long and 800 meters wide breakwater to safely berth their boats, an 80 feet long and 40 feet wide auction hall to sell fish, a protection wall at Sur Banden to avoid more land erosion, scholarships for higher studies for the children of fishermen, job opportunities at the port, and a resolution in the Balochistan Assembly for the protection of fishermen’s rights. Between September and November, when the fishermen were raising their voice for these demands, a few political parties including the National Party (NP) and Balochistan National Party (BNP) also chimed in. The NP even protested along with the fishermen on November 18. The ruling Balochistan Awami Party (BAP), on the other hand, claims to have resolved the issue. 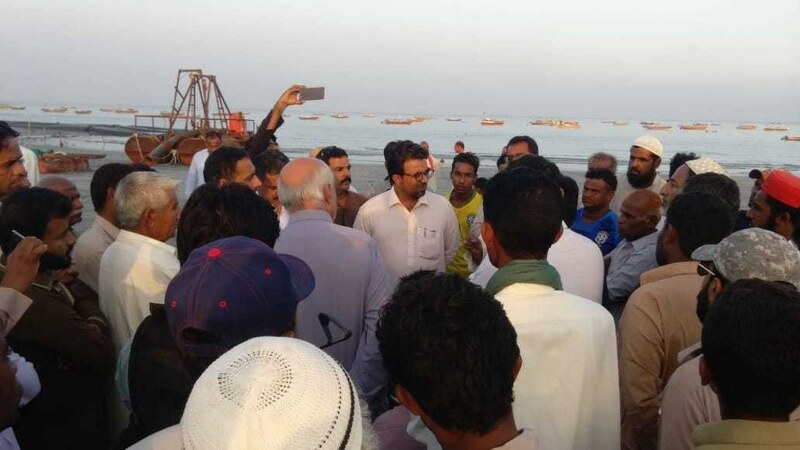 "The government has agreed to all the demands of the fishermen and we have asked the Gwadar Port Authority and the Gwadar Development Authority (GDA) to take notice of fishermen’s concerns and make feasibility plans," says provincial information minister Zahoor Buledi. A day before the protest, on November 17, following the approval of GPA chairman Dostain Jamaldini, a committee was formed to discuss and resolve the issues of fishermen. It was then decided that the committee would meet local fishermen at least once a week to pore over problems and find solutions. According to officials of the GPA, the concerns of fishermen were taken into account even before the committee was formed. Citing examples, the officials say construction work for the expressway was divided into four stages so that fishermen could continue fishing in the rest of the area while construction went on one segment at a time. In the first three stages, they say, a little over four-fifths of the 4.3 kilometres of coastline covered by the expressway will be under reclamation work, while a little over one-tenth of it will be under construction in the last stage — leaving the rest of the coastline free for fishing. The fishermen are not entirely convinced. "Whether the GPA forms committees or divides construction work into four or five segments, they are going to block the coastline with the new road anyway. While we want the authorities to accept all our demands, our main focus is the three underpass access points each 200 feet wide because according to the new design they are just 15 feet wide," says Asif. "Officials are missing the point here. Do they want us to divide our larger boats into two halves?” asks Yunas. "There is no other way around. Our concern with narrow underpasses is important because of the potential danger in emergency situations when it is difficult for a large number of boats to come back from the sea." Firaq adds this is why they want a resolution passed in the Balochistan Assembly: to ensure that their rights are not violated. "But so far, we have not seen any signs of it." Loss of jobs for the fishermen or access to jobs for the locals to build the highway. The Balochis have been asking for right to development from the days when HUBCO was built. The Govt is always in a damned if you do and damned if you don't situation. The writer presents a one-sided view. After taking the safest section of the coastline of a port city where 70% of the population relies on fishing to sustain itself, it seems to me that the three 200-foot underpasses are not an unreasonable request, given that only 15 feet (as currently planned) will not accommodate the bigger boats nor the conditions that would require bringing back many boats at once.